Corporation Bank customers can now request new Cheque Book online through net banking and mobile banking. 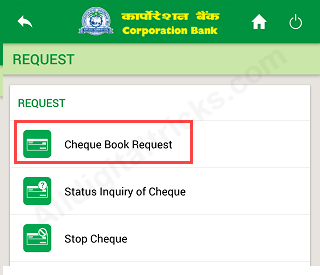 Here we will show you how to apply new Cheque Book online in Corporation bank. Corporation Bank is a public-sector bank headquartered in Mangalore, India. The bank has a pan-Indian presence. Presently, the bank has a network of 2,440 fully automated CBS branches and 3,040 ATMs across the country. You can open saving account with just 1000 initial deposit. You will get ATM card, free Cheque Book, passbook and online banking facility. First, you need net banking or mobile banking facility for your account. Both facility free of charge and you can activate online. 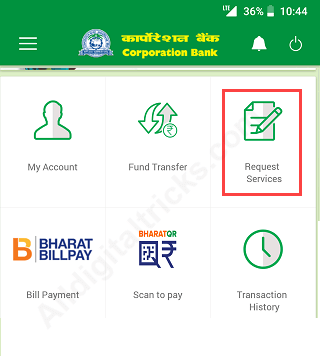 You can also use Corporation Bank mobile banking to apply new Cheque book. 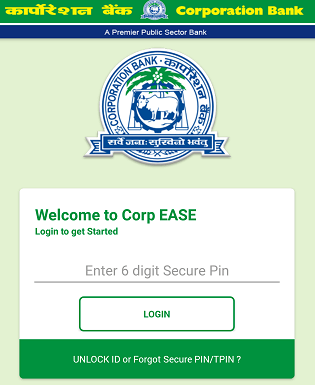 1: Open CorpEASE Mobile banking application and log in. 2: Now tap on Request Services tab as you can see below screenshot. 3: Next screen tap on Cheque Book Request. 4: Now select your Account Number and tap on Proceed. That’s it your request submitted successfully. 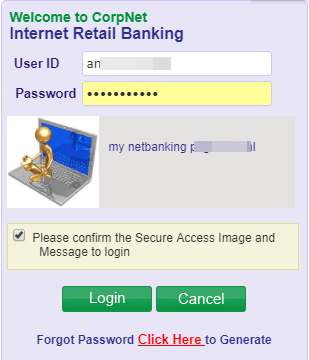 Enter User ID and login password to login your account. 2: After login, click and open Online Requests tab option and select Cheque Book Request option. 3: Next screen Click on New Button as you can see below image. 4: Now select your Account number, enter the number of Cheque leaves, Select “By Courier” in delivery type and enter your address. Now submit your request. 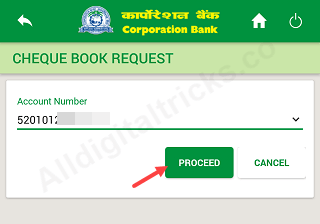 So this is how Corporation Bank customers can request Cheque Book online without visiting branch.